It all started with a letter from a mother whose son would most likely die without a bone marrow transplant. It came at a time when I was struggling with my own health issues related to a blood disorder. And that letter, coupled with my own situation, set me on my journey into civic engagement. The mother shared details of her 3-year-old son’s illness, known as Chronic Granulomatous Disease. Children afflicted with this disease have a 90 percent mortality rate by the time they reach ten years of age. The story prompted me to act and I began to organize bone marrow registration drives on campus to find a life-saving match for Peyton. This my first time responding to the need of a community member. It was a precious lesson in the value of volunteerism that gave me great motivation. After college, I still had a growing passion for civic engagement. I joined the AmeriCorps program to provide humanitarian services to fulfill my community’s critical needs. 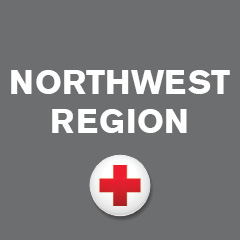 I am currently serving with the American Red Cross to create communities that are better prepared for times of emergency. My role in the AmeriCorps Volunteer Program Coordinator is to interview prospective volunteers and recruit and register new volunteers. A key part of my role is to engage volunteers in national initiatives, such as the Home Fire Campaign, which aims to reduce home fire-related deaths by 25 percent in five years. Today, seven people die every day due to home fires, so the campaign ensures people have working smoke alarms in their homes and an escape plan. The AmeriCorps program gave me an opportunity to engage volunteers, ensure they are satisfied in their roles and serve the mission of building a better prepared and more resilient community with the Red Cross. My daily interaction with volunteers is a constant reminder of the value of civic engagement and the how I started down this path: on the day I received a thank you letter from Peyton’s mother.